Divorce, child support, child custody, and alimony cases can be difficult for anyone to go through. The stress and emotions involved is enough to make anyone feel defeated before they even begin. 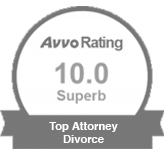 While you may not be required to hire legal representation in your family law case, you’ll want to consider these benefits that come with hiring a family law attorney. How realistic are the claims coming from the other party? Can the other party actually receive what they’re stating they’ll receive? A family law attorney knows the law, as well as the outcomes of past verdicts, and can use that knowledge to help you receive the best possible outcome. They know what judges care about, and they know how to present your case in a way that a judge will see your side. Lawyers know how to anticipate potential issues and will understand what you’re reasonably entitled to. Yes, you have to pay your family law attorney, but you may end up paying substantially more if you don’t have a knowledgeable attorney on your side. A lawyer will make sure you don’t end up paying too much in alimony or child support. If you’re entitled to receive child support or alimony, your lawyer will make sure you receive what you deserve. 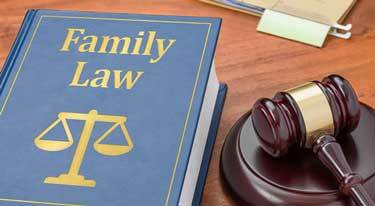 An experienced family law attorney will also help you avoid the costly return to court you may have to make if you make mistakes. In addition, your lawyer can help ensure your marital estate is divided fairly. You may hear threats from your ex-spouse about what is going to happen to you, such as “You won’t get custody” or “You won’t get any money.” Without a family law attorney, it’s difficult to know if these threats could be true or not. You may be tempted to give in to demands so that you don’t risk the other party’s threats becoming reality. A family lawyer, however, can hold the other party accountable, and make sure you don’t get forced into something unfair. You can also use your family lawyer to handle all communication, so you don’t have to deal with any sort of verbal abuse. Do you know the time restrictions for filing the proper documents? Do you even know what the right documents are? Most of us wouldn’t have a clue about these sort of documents, how they should be served, when they should be served, and when they should be filed. If any of this is done incorrectly, a judge may exclude the documents from the case. A family law attorney will make sure this doesn’t happen to you. When going through a divorce or child custody case, your friends and family will have opinions — lots of them. They may have been through something similar, and are more than willing to share their advice. Oftentimes, that advice is useful. Other times, it can be misguided as it doesn’t apply to your situation. Nobody has been through the exact situation you’re going through, and that’s why a family law attorney is so important to your case. Your attorney can provide an objective view of the situation, while seeing the potential impact of decisions. Your friends may give you good advice for something happening in the moment, but a family law attorney will see the whole picture and advise you accordingly. 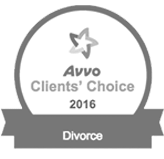 Divorce and family law cases are stressful times. Your emotions take charge in more ways than one, and you have other people to worry about — like how your children and other family members are handling the situation. When you have a lawyer on your side, you are freed up to use your emotional energy on getting through the process, healing, and helping other family members deal with their emotions. 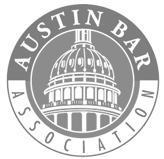 Need a Great Austin Family Law Attorney? Ben Carrasco is an experienced, dedicated family law attorney in Austin, Texas who will fight to win your legal case. Call Ben today at (512) 320-9126 or request a consultation.